Animal and Plant Health Inspection Service, United States Department of Agriculture . 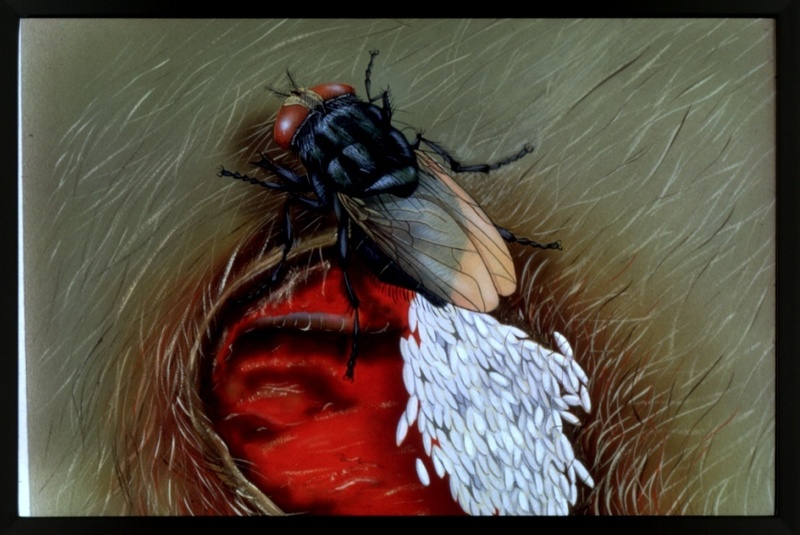 “Slide of fly laying eggs in animal wound .” Special Collections, USDA National Agricultural Library. Accessed April 25, 2019, https://www.nal.usda.gov/exhibits/speccoll/items/show/7330.